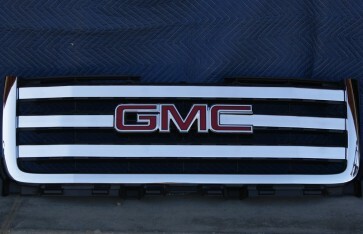 Want something simple and clean yet unique look for your truck's stock grille? Well here it is! This 4pc. 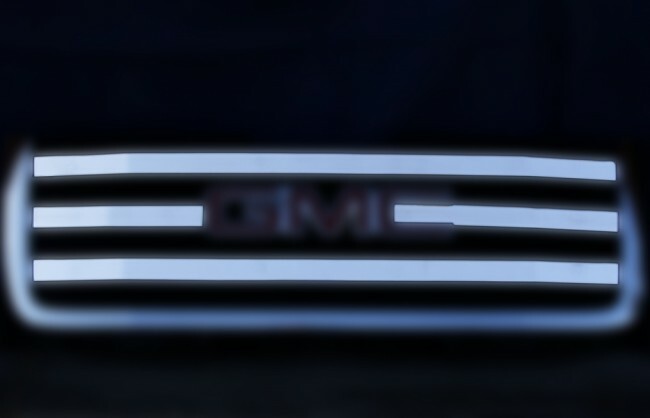 solid billet aluminum grille set installs easily and smoothly as an overlay onto your OEM grille shell. Approximate installation time is 30 min. We have 3 available finishes. For our polished finish the grille pieces are powder coated black then polished from the front face to achieve the chrome look finish and match to any chrome trims on your truck. For our chrome finish, it is triple chrome plated: nickel, copper and chrome. For a extensive luxurious mirror finish. Lastly, for our black finish, we powder coat at our in house powder coating shop to a semi-gloss black. If you would like a different back, such as matte or high gloss, it is available. Just let us know prior to ordering.